Aamir Khan's Secret Superstar which got released in China lately has received an overwhelming response from the audience and has managed to mint massive numbers at the box office since the first day itself. Aamir Khan's last release Secret Superstar, which ruled the Indian box office, is now showing its dominance in China as well. The movie, which got released in China lately, has received an overwhelming response from the audience and has managed to mint massive numbers at the box office since the first day itself. While Secret Superstar, which stars Zaira Wasim in the lead, made a collection of 10.45 million dollar on its day of release and now crossed the Rs 100 crore mark at Chinese box office in just two days. In fact, the movie has crossed the lifetime business it made in India. 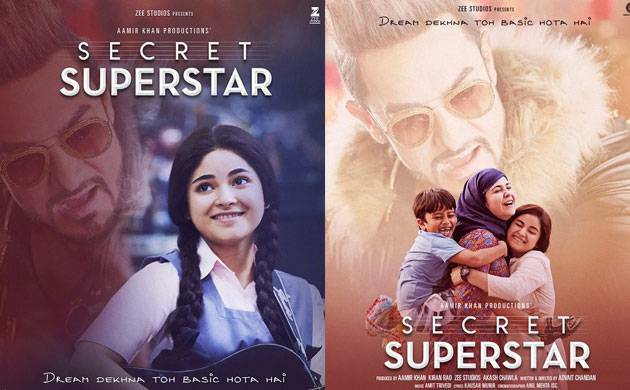 Bollywood trade analyst Taran Adarsh took it to micro-blogging site Twitter to share the collections of Secret Superstar in China and said that the movie is likely to continue its power packed performance at the box office. He wrote, "#SecretSuperstar continues its dominance with an EXTRAORDINARY Day 2 [Sat] in China... Hits ₹ 100 cr mark... Crosses India *lifetime biz* in 2 days flat... Expect an equally POWER-PACKED Day 3 [Sun]... Fri $ 6.86 mn Sat $ 10.45 mn Total : $ 17.31 million [₹ 110.52 cr]"
Interestingly, the collections of Secret Superstar is quite higher than that of Dangal, which too was a super hit in China. Taran tweeted, "#SecretSuperstar enjoys INCREDIBLE audience rating on Chinese movie ticket and fan rating sites, which explains the IMPRESSIVE footfalls at multiplexes there... Surprisingly, the audience rating is higher than #Dangal, which grossed approx $ 200 mn in China." He even said that it is because of the goodwill earned by Aamir Khan's Dangal and PK that Secret Superstar is witnessing magical numbers at Chinese box office. We wonder if Secret Superstar will break other records in China as well.